Gallery: click to see larger images. 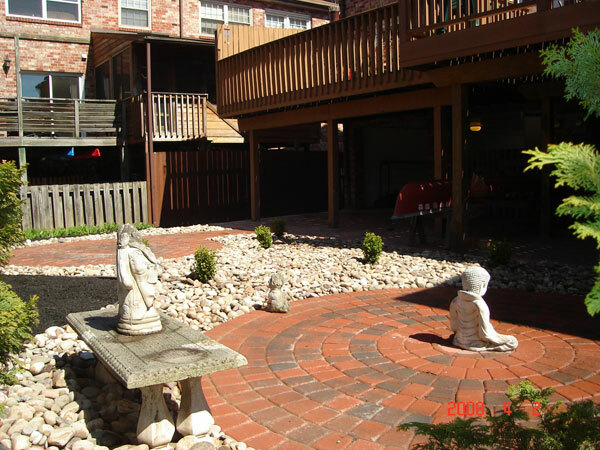 Landscape design and construction has come a long way since we began offering our services in 1983. The outdoor spaces that surround our home say almost as much about us as the interior spaces within our homes. Outdoor spaces extend our livable space and give us greater room for both ourselves and our guests to enjoy. 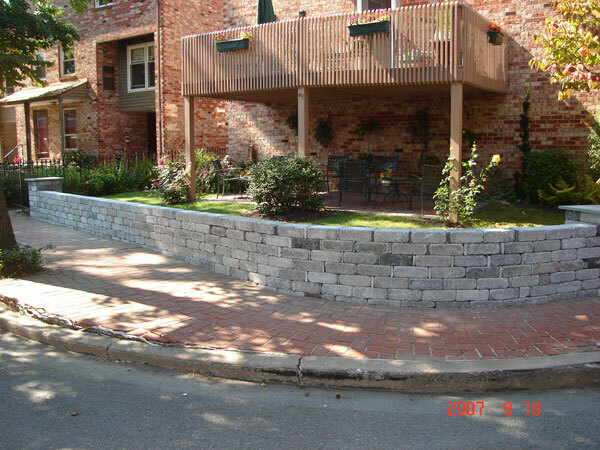 Avoid spending more time maintaining your landscape than time enjoying it. We have experimented and found the best combination of plants and trees that both compliment your home and require less of your time to maintain. So rely on us to make a relaxing weekend sanctuary for you on those beautiful days that are meant to be enjoyed. Whether you want curb appeal or greater use of your outdoor areas as living spaces you can be assured we can provide you the worry free low maintenance landscape you desire. After an onsite consultation a plan for your landscape will be formulated. Together we will determine which of our services best fills your needs. Plants, trees, and the layout of all your outdoor areas will be part of the design. Well laid out and cared for beds and plants around you home add to the curb appeal of your home and your enjoyment of your outdoor living areas. Trees are an important part of every landscape they provide natural shade and privacy to our outdoor living areas. We can help you decide which species compliment your home and yard and determine where to best locate the trees for maximum privacy. Like everything that is living and changing you will need to have your landscape maintained throughout the seasons. We offer a suite of services that cater to seasonal maintenance. Patios, pergolas, walls, pond less waterfalls, and aluminum fencing are all great components to any livable outdoor space. Over the years we have given our customers a place to relax or entertain their family and friends featuring these great amenities. 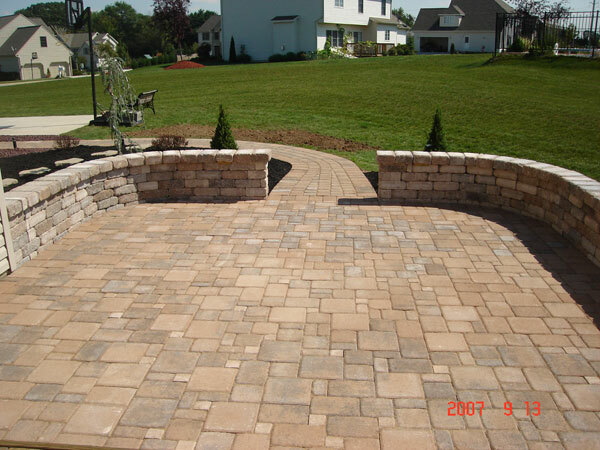 Our business was one of the first in the area to embrace the use of pavers when concrete was the rule. 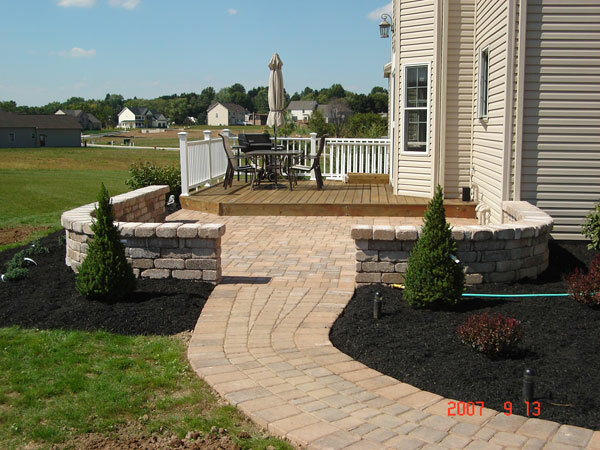 After the installation of countless paver patios, walls and stairs throughout the Susquehanna Valley we have become known for the high quality and reliability of our work. 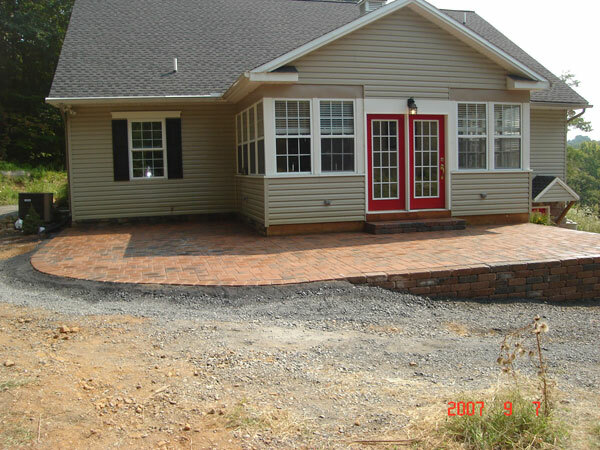 We use traditional methods to ensure a solid base for your pavers. We go the extra mile excavating a backfilling with several grades of underlying stone to ensure proper drainage and the longevity of your project. When you make a major investment like an in ground pool you will be left with several decisions on how to finish and repair your backyard to ensure a safe and beautiful result. For projects like these we specialize in paver pool surrounds and durable low maintenance aluminum fencing both will last for years with very little effort. We also suggest re-grading and seeding for new grass as the final touches to complete your yard. 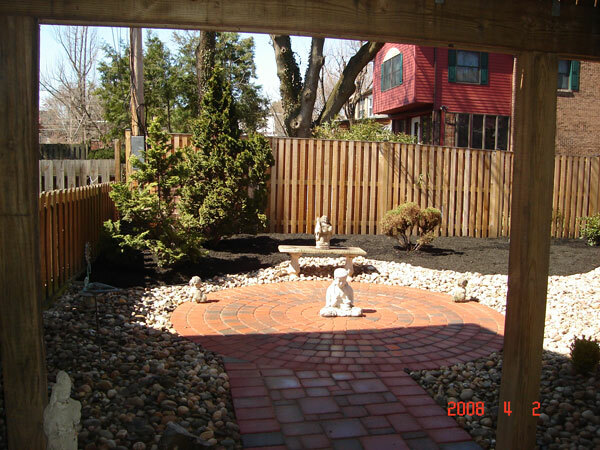 Rustic or contemporary we can create pond less water features to decorate your outdoor areas. The sound is soothing and the appearance makes a distinctive and personalized statement for either your front or back yard. Subtle or dramatic outdoor structures have been used for centuries for both aesthetic and functional purposes. Nothing is more relaxing than sitting in the evening sun under your pergola and enjoying time with friends and family.